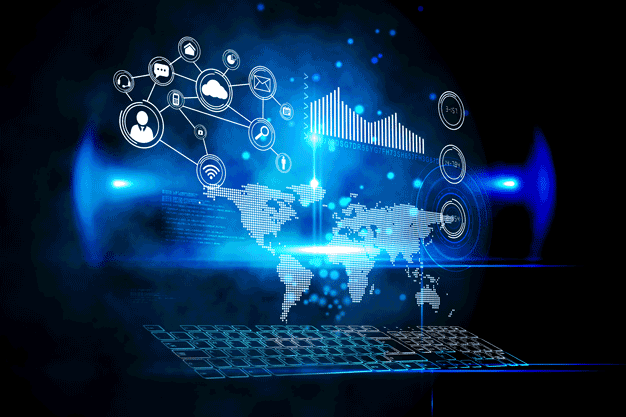 In a Nutshell: With so many options available, companies may have a difficult time determining where to turn for their web hosting needs. While some catch-all web hosting services provide the basics, services like Pantheon set companies up for success with a speedy and highly scalable infrastructure. Pantheon emphasizes security and maximum uptime and works to understand the unique needs of its clients, which allows companies to focus on sales and not worry about technical issues. And, in the event that any issues arise, Pantheon prioritizes customer service with 24/7 support and multiple support conduits available to clients. When Donald Trump was elected president of the United States, many Americans, various civil rights groups, and other organizations stood poised to oppose any human rights violations that would result from the administration’s actions. So, the American Civil Liberties Union (ACLU) was prepared when — just a week after taking office — Trump enacted a travel ban that barred citizens from seven predominantly Muslim countries — including Syrian refugees — from entering the U.S.
Over the course of 48 hours following the travel ban, the ACLU received more than $24 million in online donations, according to The New York Times, almost seven times more than it had received in all of 2015. The ACLU website also received 8,500% of its normal traffic volume during that time. 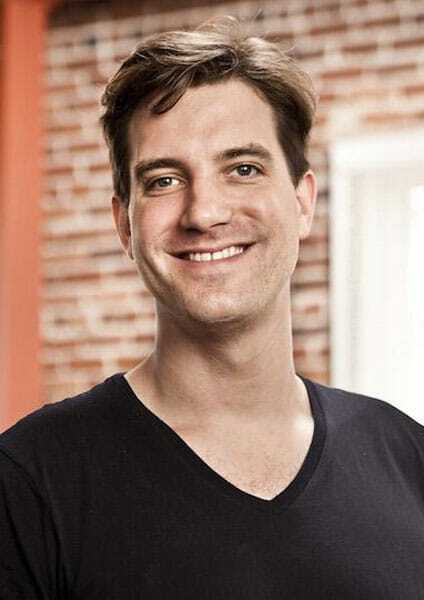 Josh Koenig is a Co-Founder and the Head of Product at Pantheon. The ACLU worked hard to position itself as an organization through which Americans could oppose what many viewed as harsh policies. But, there’s a good chance it wouldn’t have been able to reach such impressive numbers without its web hosting service, Pantheon. Before it enlisted Pantheon, the ACLU had struggled to maintain a smooth online experience under normal web traffic. A huge spike like the one that occurred over that January weekend would have likely taken the site down, and the organization would have lost out on millions of dollars in donations. Josh Koenig, Co-Founder and Head of Product at Pantheon, said he’s seen it happen before with other companies that weren’t prepared. And, that is why it is crucial for businesses that depend on monetary transactions for profit or funding to have the right e-commerce solutions in place. Koenig said partnering with a quality web hosting service can be crucial to a company’s success, as the ACLU case demonstrated. Businesses that depend on e-commerce solutions must be prepared to handle sudden surges in web traffic. He said companies can get into a cycle of minimizing expenditures in every possible way, which could include using a cheaper web host to save tens of dollars a month. “The people making these decisions don’t realize how that perceived cost savings is impacting their profits significantly,” Koenig said. He compared it to a brick-and-mortar store that has a front door to the business that opens very slowly and can only let one customer in at a time. “It just doesn’t make sense,” he said. That also leads to the scalability consideration, he said. Many businesses can’t afford to miss that big opportunity that comes with a bump in traffic due to a moment of notability, so it is important for them to be certain their host can support an increase in volume. Another huge consideration for any business with an online presence, and particularly one that relies on e-commerce, is how quickly a page loads. “Pantheon is a really great suite of value propositions for people or businesses that are really looking to drive conversions and drive sales online,” Koenig said. The company provides an alternate approach to the set of problems web hosting traditionally solves, he said. The standard in the world of web hosting is that a company will receive shared space on a server, a dedicated server, or some combination of servers. He said companies that employ Pantheon essentially don’t ever have to worry about servers ever again. 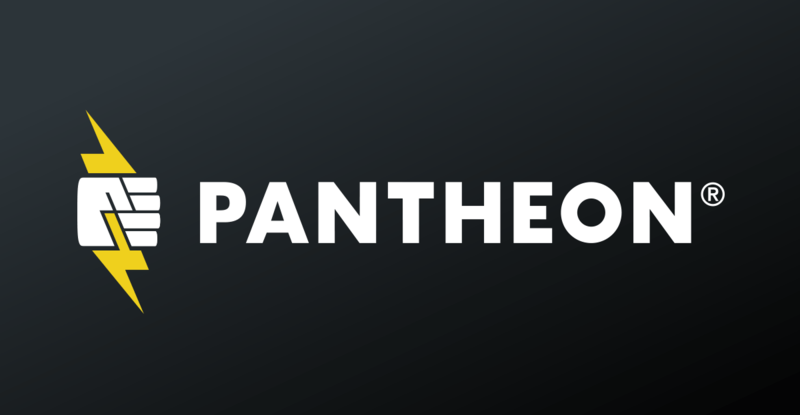 Pantheon provides high performance web hosting with a focus on agility and speed. Koenig said within e-commerce, Pantheon focuses on three components that are extremely important. 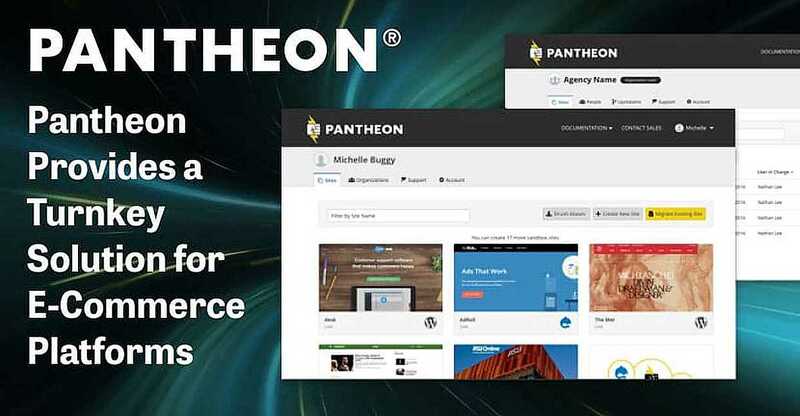 He said, first, the company makes sure that every website that is powered by Pantheon has very high performance rates from a UX standpoint. He said the next important component is how Pantheon addresses scalability. Where servers are a finite resource Pantheon is excellent at handling sudden increases in visitors and transactions due to a viral spike in traffic or a successful promotion. And, finally, Pantheon is designed to support rapid iteration in what the company calls an agile process, he said. “You can quickly design, launch, and optimize campaigns to boost performance and accelerate growth,” according to the Pantheon website. Koenig said that this means the platform lets clients iterate on the whole experience. Koenig said Pantheon strives to provide top-level customer service, which includes handling security considerations as well as quick and thorough customer support. He said, Pantheon also lets customers migrate a copy of their website to Pantheon where they can test it out for free. The company also provides migration support for more complex sites. Once a company decides it wants to move forward with Pantheon, then it pays for the site, which is often already migrated and ready to go. For its general customer support, Koenig said Pantheon offers chat support and can submit support tickets. In general, the company tries to solve any customer problems before a ticket is necessary. Koenig said Pantheon offers an option for even more in-depth support for its largest clients. Koenig said Pantheon has some exciting developments planned for 2019. The company does this through the availability to reach a rich network of data centers across the world. “It’s an unlikely event, but there are some organizations that can’t live without this kind of insurance,” he said. Additionally, Pantheon plans to add tools that will allow users to work locally on their desktops or laptops when they are offline, save their changes, and apply them to their website at a later time once they are reconnected.